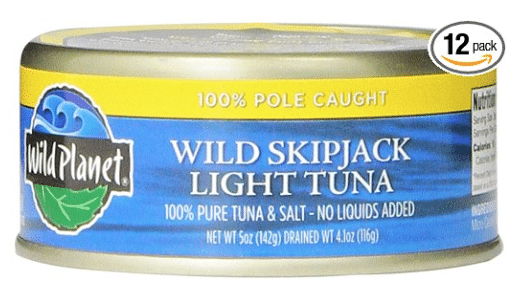 Amazon has a hot price on Wild Planet tuna when you use the below coupon! $30.57 after coupon, so just $2.54 a can! Or, save an extra 5-15% off by choose Subscribe and Save, bringing the price as low as $25.18, so $2.09 a can! This same tuna sells for $3.99 a can at Target, so either way, this is a hot deal! Wild Planet tuna is pole caught and packaged in BPA-free cans and has no added oil, water or fillers. It’s cooked once to retain the Omega 3-rich natural juices. If you prefer a different Wild Planet tuna, you can use this coupon on these other products.